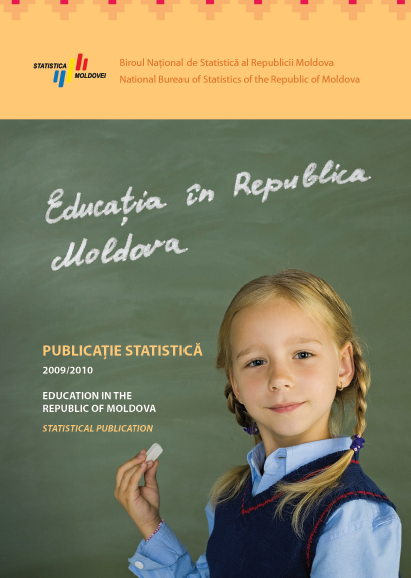 National Bureau of Statistics informs that the statistical publication "Education in the Republic of Moldova" edition 2010 has been posted on the website in electronic format. The publication contains main statistical indicators that characterize the educational system of the country during the period 2000-2009. Data are presented by educational levels: pre-primary, primary, day school, secondary vocational, secondary specialized, higher, doctoral and postdoctoral.